Even though the year is coming to a close, at SpringCM we never stop making improvements to our product. Once again, we've listened seriously to what our customers told us through their feedback and their data. With this as our foundation, we've rolled out a new set of updates to stay on top of the real contract lifecycle management needs always emerging throughout the business world. Whether you're just getting started down the path to automated contract lifecycle management, or you've been looking for more robust tools to tweak out your existing contract management, these new features offer some exciting new ways to make managing your contracts and documents easier, and to let you better understand and streamline your contract-related processes. So take a look at the hotly-anticipated upgrades we've implemented in December. There are a lot of moving parts in the SpringCM Workflow Designer, so we're always finding new places to make using the tool a more functionally user-friendly and visually appealing experience. The newest iteration of the SpringCM Workflow Designer has a few improvements along these lines. 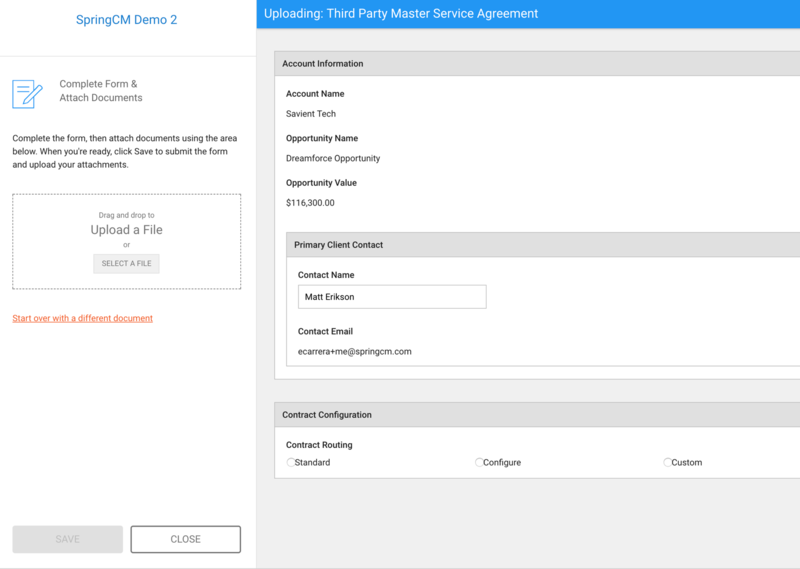 With the latest Workflow Designer, a user will have the option of not displaying a contract due date in emails if they don't find it necessary. And when setting up emails, users will have the option of sending either a branded template-based mailing or a text-only document, so that the email appears correct to each and every recipient. Our popular Doc Launcher Forms allow administrators to create custom user-facing menus that let users easily generate new documents and define the workflows that govern where the document gets routed. With the upgraded Doc Launcher Forms Wizard, thorough field customization is even more efficient. We've rolled out an option that allows administrators to pull in a list of fields from a CSV file to populate a dropdown field. So if you're an expansive enterprise with hundreds of workflows and thousands of people or departments who may potentially need to see a given document, you don't have to handle the bulky task of entering items one-by-one into a data entry field. Just import a CSV file and you'll immediately have a functioning menu with all the options you need available. SpringCM is all about creating value through giving you the tools you need to get your contracts and the processes around them organized. Organized documents and organized processes translate into streamlined operations, less wasted time and money and greater ROI. And it is with that in mind that we've created our Task Management tool (now in a closed beta). 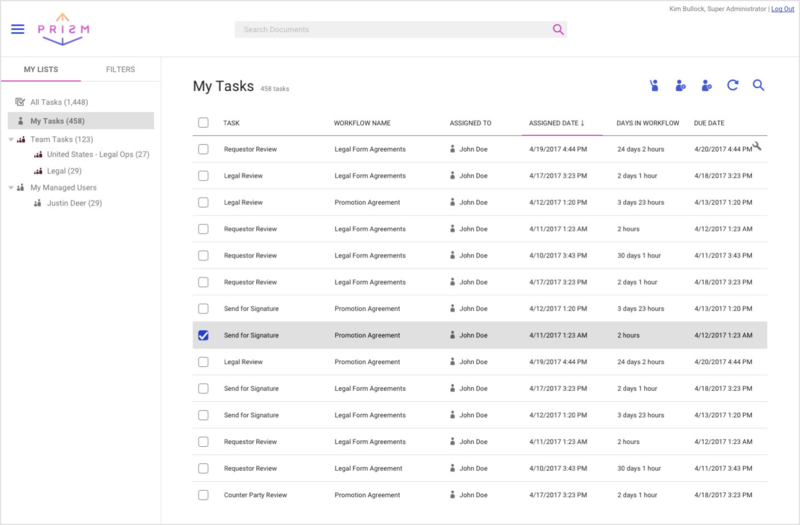 The Task Management page is a go-to place for users to see all of the contract-related tasks that remain outstanding and what action is needed on each. That means even less digging around in email to find an alert that you may have missed, a quick way to see what you've got to do for the day and an easy way to find out who you need to follow up with if you're expecting a contract that gets stuck in the pipeline. It’s a powerful tool -- and should be out of beta soon! Analytical insights are everything when it comes to honing your contracting processes and getting exactly what you need out of them. A Workflow Aggregates Report which allows you to see metrics like Average Days to Completion and Most Common Active Stage aggregated over a date range you define. 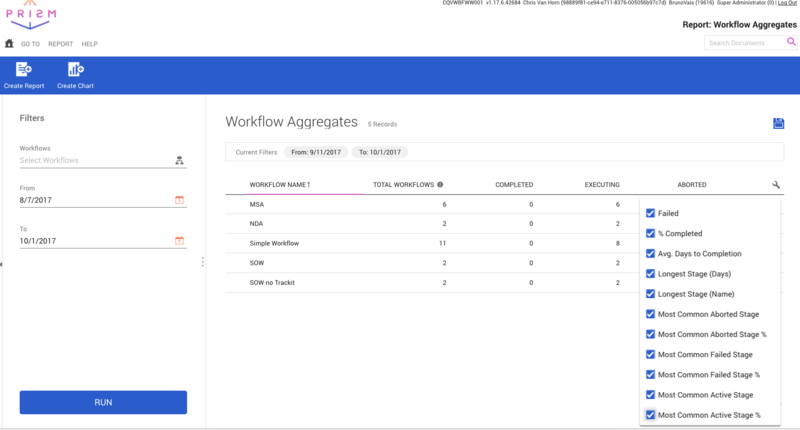 A Workflows Details Report which lets you get granular on individual workflows. European-style date formats for reports and in the Doc Launcher forms, if that's what you and your users are comfortable working with. Localization on the level of individual user, rather than account, so that companies with users across the globe can facilitate a meaningful user experience for everyone. Downloadable AdobeSign audit reports for e-signature users, to track a document's progress. Always improving – now and in the New Year! SpringCM is always evolving – responding to the needs of our diverse customer base and using our insights to benefit our full community of users. 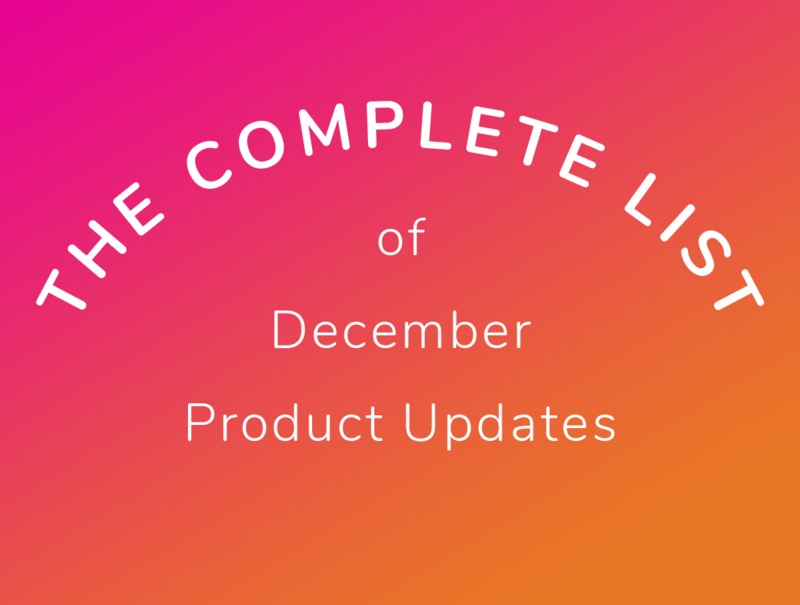 So as we roll out these last updates of 2017, we are already looking forward to even more valuable new features in 2018.